We are done and Lord Heka will be pleased. 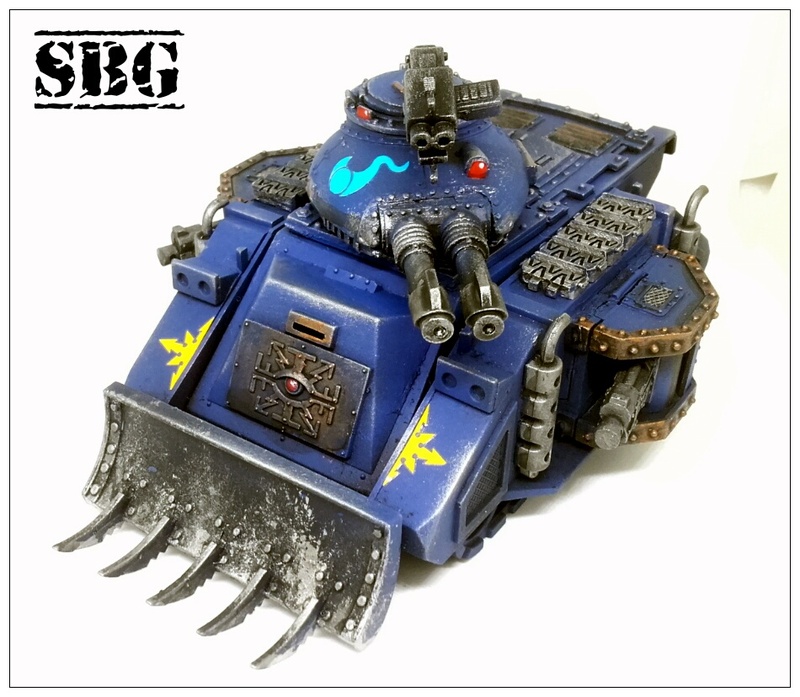 My Thousand Sons tank division is compelte, although it does leave me feeling like I should repaint the previous Rhino to match. The pictures in this post vary a lot, I was playing around with some settings and some things worked and some didn’t. I will keep experimenting until I get them looking like they do in person. So with the need to add some spot colour I was drawn between lots of gold accents and some bright decals. In the end I wasn’t feeling the gold so I stuck with the dark metals and went for yellow and blue decals. The classic Tzeentch symbol seemed like an obvious choice. 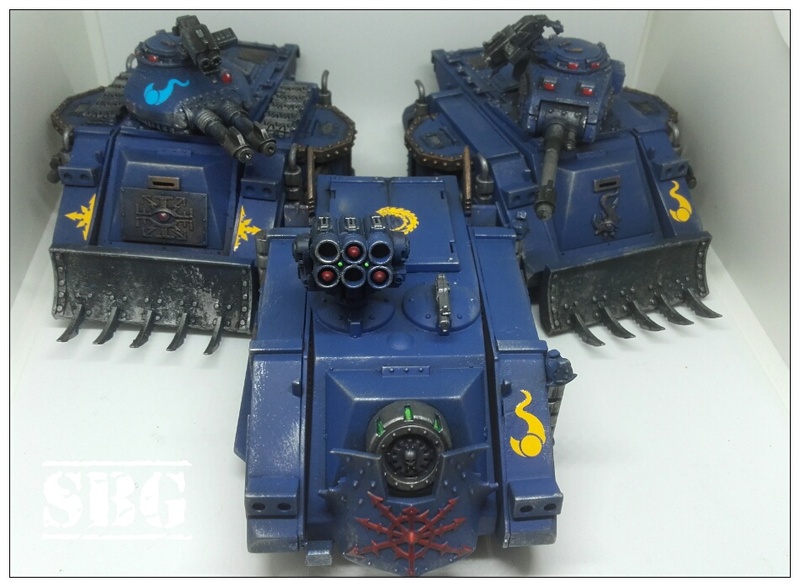 I tried not to go overboard on the decals, just something to add some colour to distract from the blue. In addition I down played some of the worn edges. 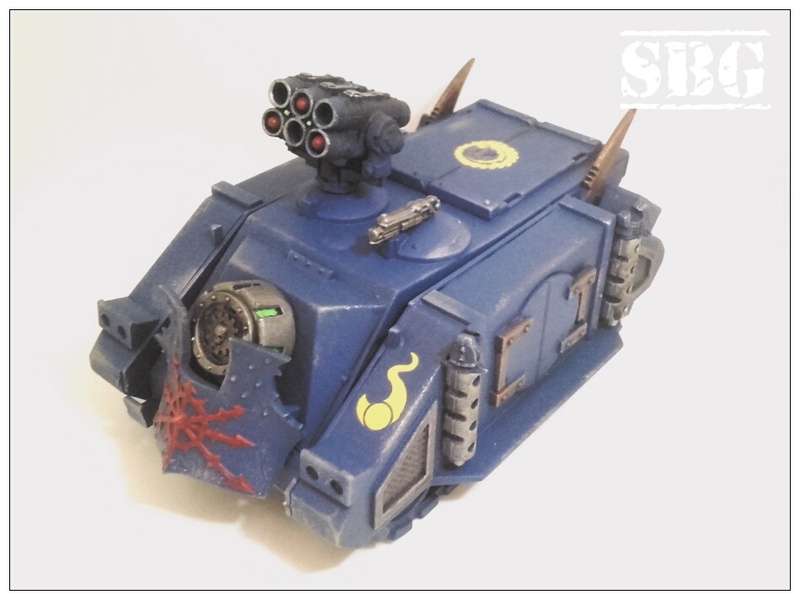 For the lascannon turret predator I really wanted to add something to the round of the turret. I tried some free hand and it wasn’t working so I spotted the blue Tzeentch symbol and a test fitting appealed. 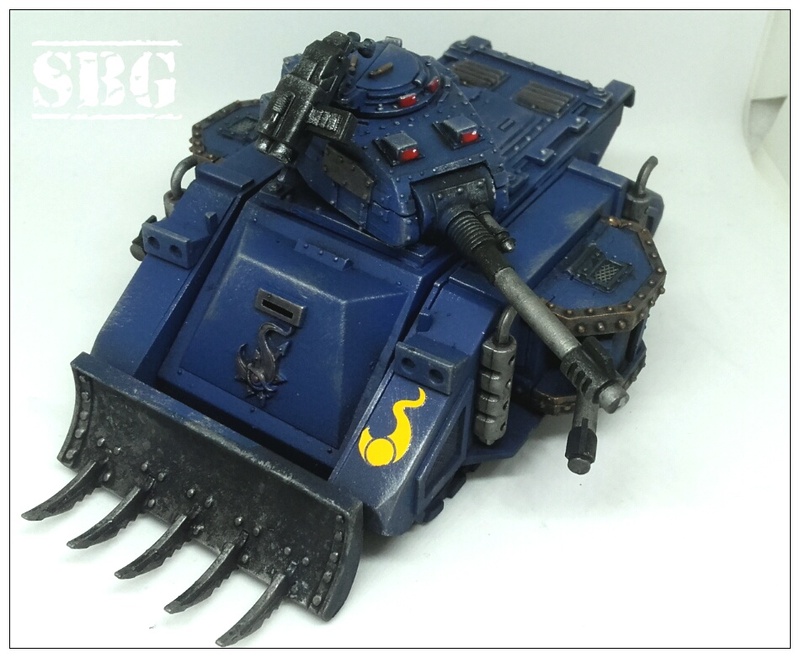 So after I went with that symbol on the turret I needed to do something different for the front plates. In the end I took a basic chaos star and split it across the two sides.